1. Under The Table and Dreaming is a really sweet blog. Clearly a huge amount of research and time has been taken to put together a post with 65 Easter desert recipes from around the blogasphere. 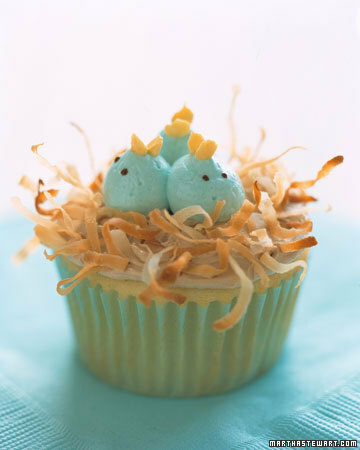 This really cute Easter cupcake below is just one of the recipes shared. If you click on the image or link below you can visit Under the Table and Dreaming and see what other delights are in this "mammoth" post. Both recipes below originate from Martha Stewart. 2. 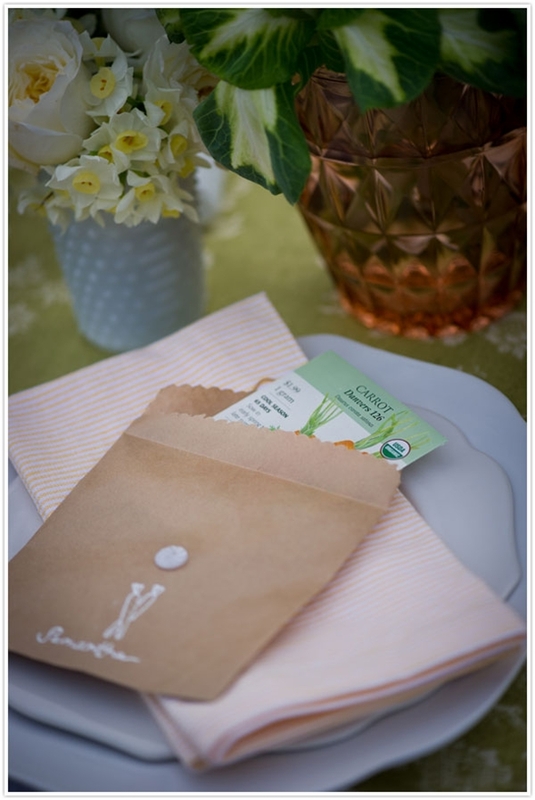 Love these seed packet favours from Camille Styles. Camille has taken the trouble to photograph step by step easy instructions. click here to visit Camille's blog to learn how to create these little Spring ideas that would be great to put with grandma's easter present. 3. Chictopia have a really cool Spring Bloom contest and there's still 3 weeks left to enter. An easy competition that requires you to post a photo of yourself on Chictopia wearing your favourite Spring Bloom outfit. First prize will receive a $500 voucher to purchase clothing from Free People (other prizes). Please click on image below to check out the competition entry form...Come on all you great blog photographer's out there! click "here" for Chictopia Spring Bloom Contest. 4. 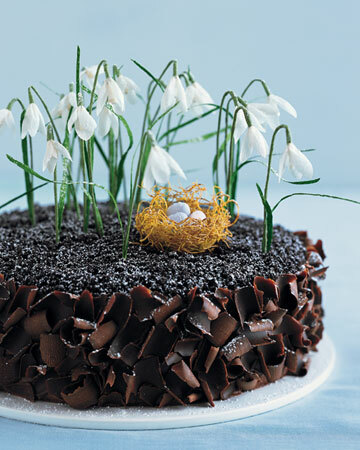 What a lovely Spring Idea or Easter present. 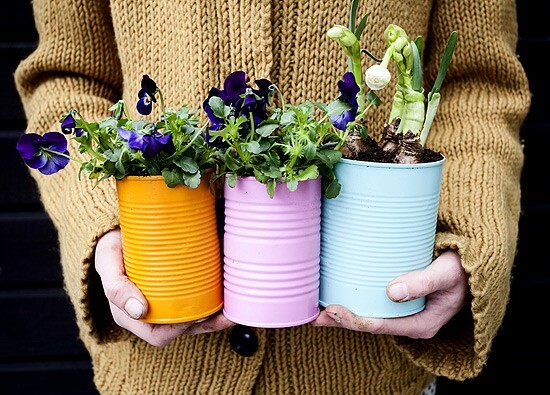 Spray paint some empty food cans and plant with your favourite spring bulbs or pansies. Please click "here" for link to Dos Families blog and more about how to create this cute pot plants. 5. Another cute idea, maybe not Spring but still using tins. 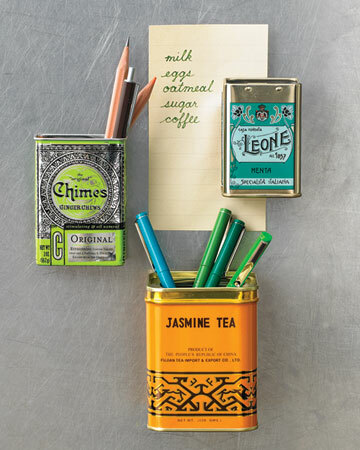 Turn your small tins into fridge magnets to store pencils and such. A creative idea from Martha Stewart. Often you can buy sweets such as mini mints and cashews in these tins or even spices from India or little sample tins of teas such as these. 6. 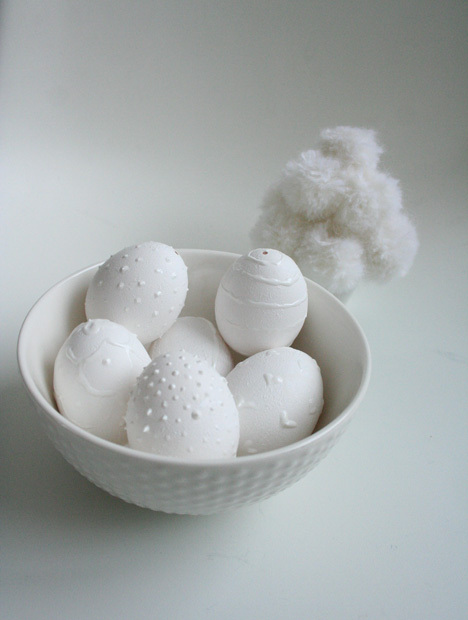 Love this easter egg idea, click "here" for instructions to make these really cute eggs by Pickles. All on a lovely sunny day in Auckland, New Zealand. Wow...these are such great photos. Who knew that white eggs could be so beautiful? Thank you for this wonderful post! I would love it if you would share this at our What’s It Wednesday blog party. Hope to see you there. I try to search out the most inspiring images and ideas on the blogasphere. I cannot personally take credit for the images in this post but share so others become aware of the wonderful ideas and inspiring blogs around the world.